Aladja and Ogbe-Ijoh Udu and Warri Communities South-West Local Government Areas of Delta State. Rexcharles blog is currently receiving treatment at undisclosed hospital. The casualties were on the side of the Aladja people. A plank house was raised in the Ogbe-ijoh community. The Chairman of Ijaw Youth Council, IYC in Ogbe-Ijoh, Engr. Smart Okosun in a chat with our reporter, confirmed the renewed was with Aladja people. 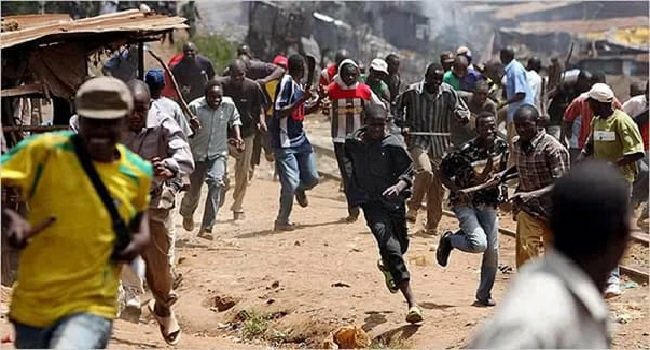 Okosun claimed it was the Aladja people who came to launch an attack on their community. According to Okosun, "You can hear the gun shots as I talk to you now." One house was burned down by Aladja people. 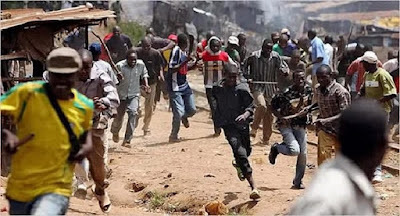 In a swift reaction, Assistant Secretary of the Aladja Community Council, Comrade Ighotegwolor Bezi, denied the allegations that Aladja people attacked their Ogbe-Ijoh brothers. Bezi accused the Chairman of the Delta Waterways and Domestic Security, Mr. Boro Opudu of allegedly masterminding the renewed what between the two communities. Bezi said, "He mobilized Ijaw youths from all over the state and beyond the excuse that some people from Aladja went to burn a plank house at Ogbe-ijoh". "It's not true that the building was set to fire by youths from Aladja, because they were going through the plank house." "It's confirmed the area commander wants to be there to hold a reconciliatory meeting with them tomorrow."